What Personal Information About Customers Does Metamorphosis by Robert St John Gather? The information we learn from customers helps us personalize and continually improve your shopping experience at Metamorphosis by Robert St John. Here are the types of information we gather. E-mail Communications: To help us make e-mails more productive to improve service and your shopping experience, we may sometimes send you information relating to our services and products, notifications of changes to our policies, and order confirmations. If you do not want to receive e-mail from us, other than order notifications and receipts, please adjust your "Subscription" preferences by logging into your account. 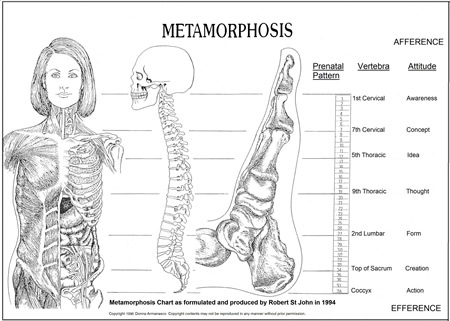 Does Metamorphosis by Robert St John Share the Information It Receives? Metamorphosis by Robert St John gives you access to a broad range of information about your account and your interactions with us for the limited purpose of viewing and, in certain cases, updating that information. If you choose to visit Metamorphosis by Robert St John, your visit and any dispute over privacy is subject to this Notice and our Conditions of Use, including limitations on damages, arbitration of disputes, and application of the law of the state of our local state. If you have any concern about privacy of your personal information as used and collected within our website, please send us a thorough description by clicking on the "Contact Us" link on the side menu, and we will try to resolve it. Our business changes constantly, and our Privacy Notice and the Conditions of Use will change also. We may e-mail periodic reminders of our notices and conditions, unless you have instructed us not to, but you should check our Web site frequently to see recent changes. Unless stated otherwise, our current Privacy Notice applies to all information that we have about you and your account. We stand behind the promises we make, however, and will never materially change our policies and practices to make them less protective of customer information collected in the past without the consent of effected customers. You provide most information when you search, buy, order, post reviews, or other methods of communication via our website or email to Metamorphosis by Robert St John. As a result of those actions, you might supply us with such information as your name, address, and phone numbers, and credit card information. For security purposes Metamorphosis by Robert St John sometimes collects and analyzes the Internet protocol (IP) address used to connect your computer to the Internet, and to our website. This is done for your protection for tracking purposes in the unfortunate event that someone gains access to your personal or financial information and opens an account, or makes purchases under your name.